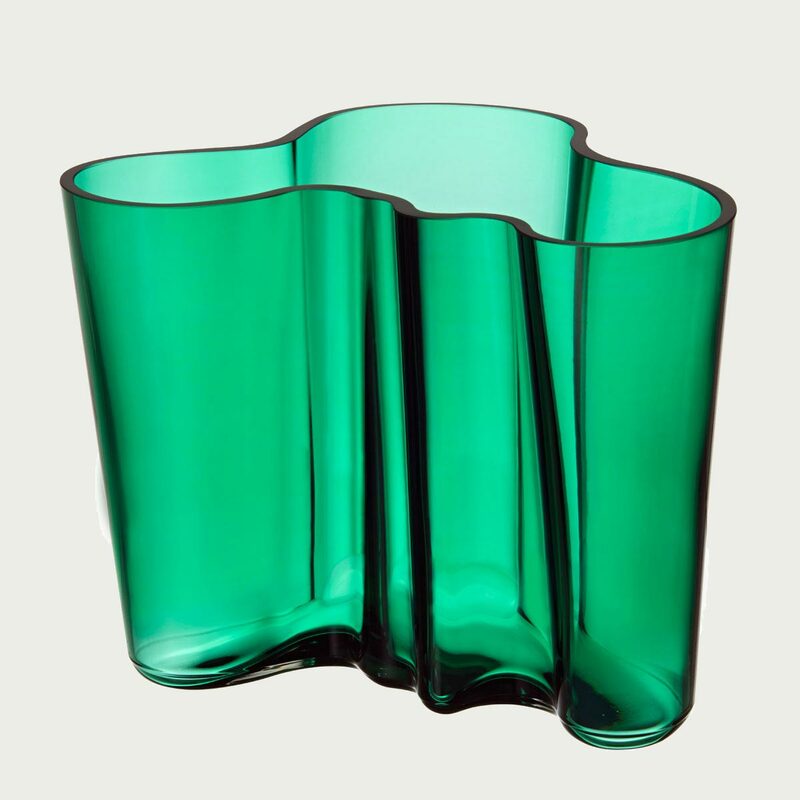 Home > Aalto Vases > iittala Aalto Emerald Vase - 6-1/4"
Flowers will bunch beautifully in the iittala Aalto 6-1/4" Vase, but its purpose far surpasses floral arrangements. Designer Alvar Aalto wanted to let the end user decide its use, whether that be to hold the paintbrushes of an artist or the marbles of an avid collector. Saturated in the alluring jewel tone of the 2016 Emerald color, the 1936 design is as lively as ever. Though the award-winning design's raw beauty seems like an organic occurence, it requires 7 craftsmen, 12 work stages and 30 hours to create just one of these extraordinary works of art. 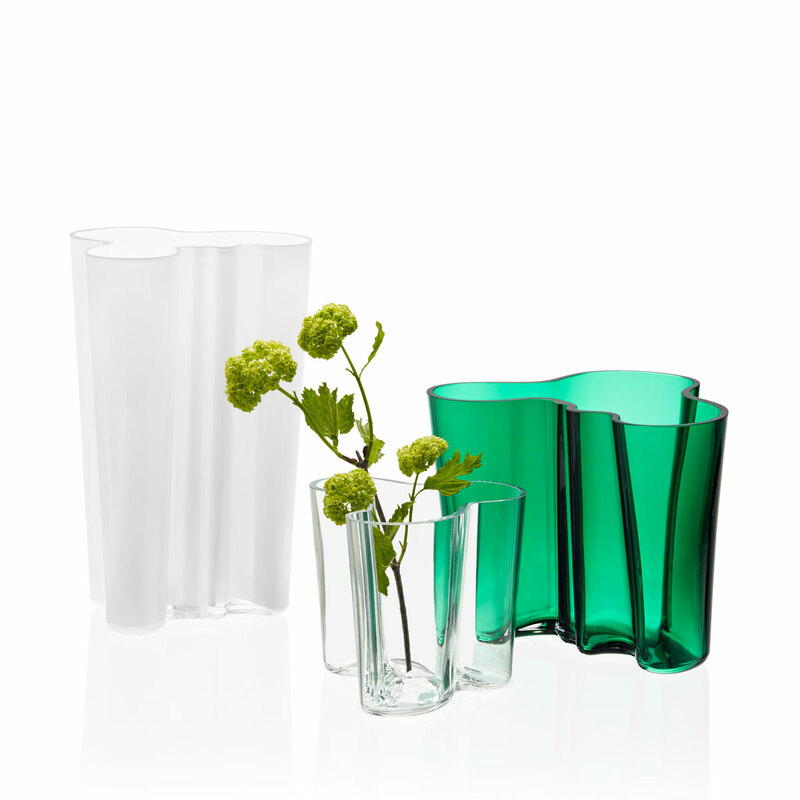 Collections: Flowers will bunch beautifully in the iittala Aalto 6-1/4" Rain Vase, but its purpose far surpasses floral arrangements. 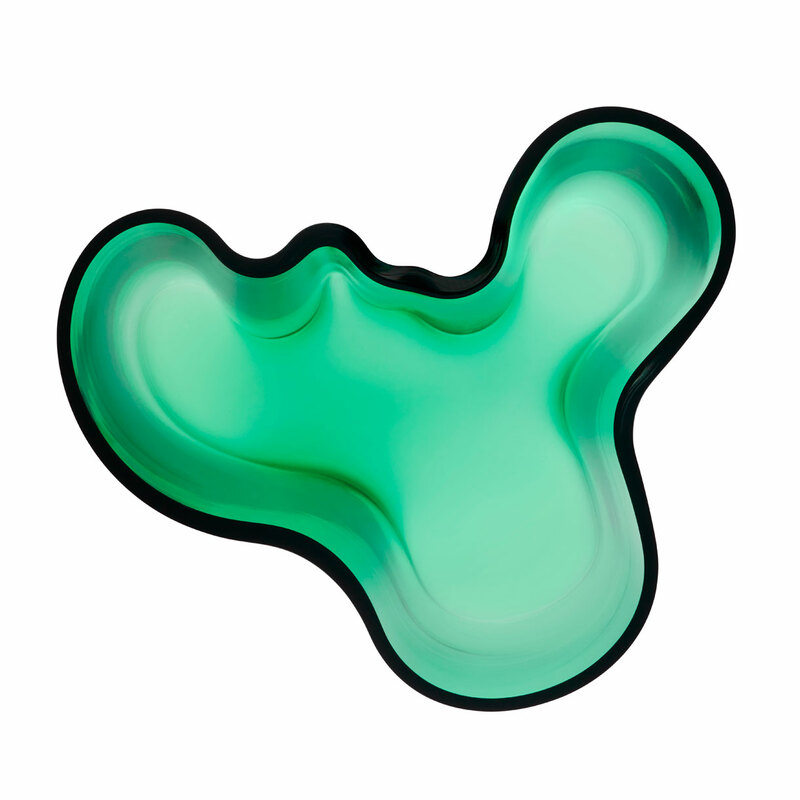 Designer Alvar Aalto wanted to let the end user decide its use, whether that be to hold the paintbrushes of an artist or the marbles of an avid collector. Aalto brought these fluid lines to life in 1936 as an ode to the curving shores of Finland's countless, cherished lakes. Perhaps that is why this water-inspired, greyish-blue hue so well suits the design's free-flowing form. Embodying both the tranquility of a light drizzle and the intensity of a heavy downpour, the iittala Aalto 6-1/4" Rain Vase expresses the multi-faceted nature of true and timeless beauty. Reviews of iittala Aalto Emerald Vase - 6-1/4"